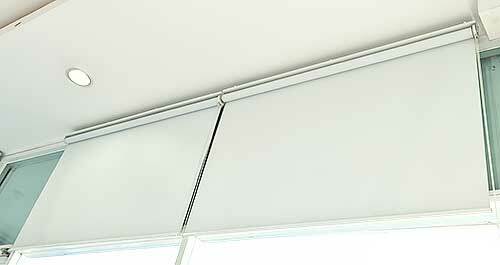 A versatile covering that allows you to control light and air flow without raising or lowering them. Tilting the blades can also aid in temperature control by varying the amount of light and radiated heat allowed into the room. Kawana Blinds can supply and install venetian blinds in aluminium, Wood Nature and timber finishes in widths from 25mm to 63mm. A large variety of colours is available. Venetians can be either cord or cord/wand controlled.